Decks built around a strategy of status conditions have seen a fair amount of success as of late. Accelgor decks did really well during the National Championship and World Championship, and a paralysis stall strategy in Rayquaza/Eelektrik found its way into two of the winning decks from Fall Regional Championships. 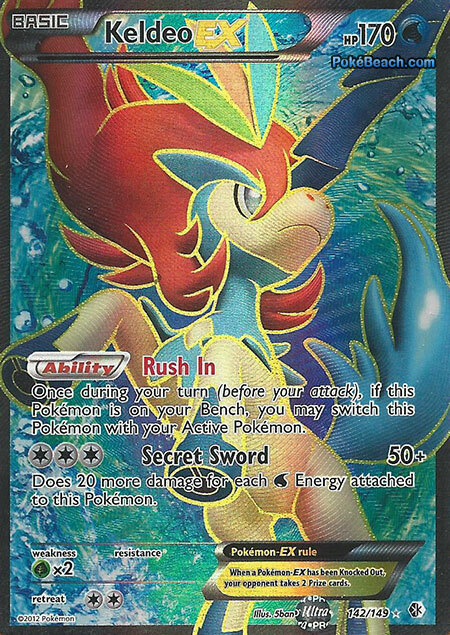 With the release of Keldeo EX, status lock decks have taken a major hit as a result of there being a direct counter to any such strategy, as Keldeo’s Rush In Ability is able to free Pokemon from status conditions. Unsurprisingly, status lock decks have been seldom played (the lone exception being some Empoleon/Accelgor play) , as the economy is bad for them right now. While these decks are definitely not a top tier play anymore, I do want to take a look at what a deck for one of our old status lock friends would have to look like in order to be successful in the new format. The deck I want to take a look at today is my Lilligant deck that I have been messing around, which I think highlights some of the key elements for all status lock decks in the new format. Here is the list I have put together so far for a Lilligant deck so far. I don’t think the list is optimal, but it’s where I’m at with the deck right now. The main issue I’m having is being able to fit in all of the things I want in the deck, as there really isn’t a ton of room when devoting a ton of space to a full Stage 1 line. Anoyhow, here is where I’m at…. I think the one thing that will stand out immediately, is that these decks need Garbodor DRX to combat Keldeo EX. Garbodor’s Garbotoxin Ability will shutoff Keldeo EX’s Rush In Ability, allowing you to actually lock your opponent’s Keldeo EX in place with Paralysis if you flip heads, and if you don’t Paralyze them, they will have to waste Energy in order to retreat, as they can no longer Rush In. I think Keldeo EX has become so popular, that Garbodor is necessary if you would like to do well with a status lock deck. Of course Garbodor doesn’t come out without baggage. I chose to play a relatively high Skyla count at 3, to aide in searching out Switches to get your Garbodor out of the Active Spot. It’s still important to remember that you have a finite number of Switches, so you can’t wrecklessly drop Garbodor DRX down in every matchup if your opponent has some way to abuse Pokemon Catcher…most notably Sableye DEX. If you’re opponent is playing Sableye DEX, you cannot bench Garbodor, otherwise they will just repeatedly catcher it up and force you to deck out, or alternatively recycle Tool Scrapper to make it ineffective, or just as bad, repeatedly Junk Hunt for healing cards to remove all the damage Lilligant did. 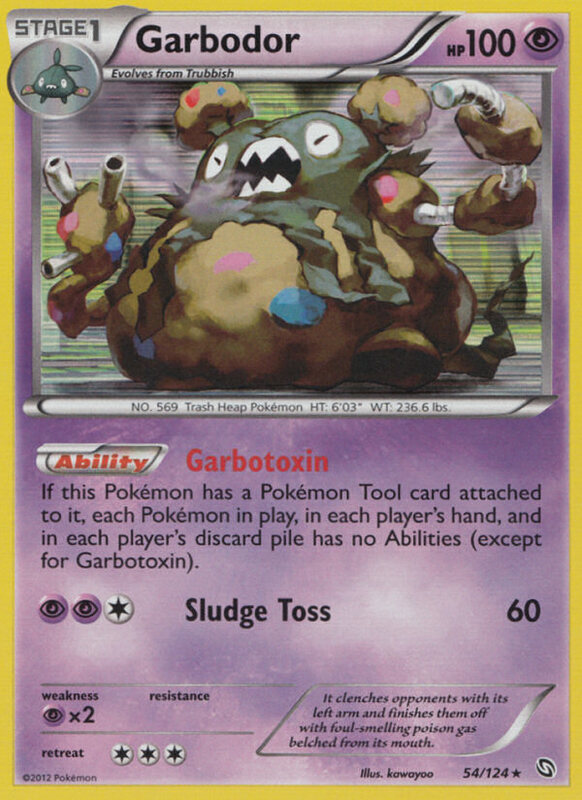 The sad reality of Garbodor is that it is completely unplayable against a Sableye deck if you’re also not playing Sableye. This makes matchups against Darkrai decks that also play Keldeo EX a bad matchup, as you can no longer play Garbodor down, and they can also break free of your paralysis lock. I would say the best strategy against these decks would be to catcher up the Keldeo EX, and try to lock it in place, and hope they only have access to one and cannot break free of the lock, otherwise this is one that is just going to have to be chalked up as a bad matchup. Luckily, the pairing doesn’t seem super popular at the moment. Additionally, you will need to run some tools with Garbodor to make use of Garbotoxin. The tools I chose for this deck was a 2/2 split of Eviolite and Giant Cape. Giant Cape can be used to boost Lilligant’s HP, allowing it to live longer. I chose to include Eviolite as well, as it is better on your EX Pokemon, and is better than Giant Cape at protecting your Victini from Hammerhead and Night Spear snipe damage. 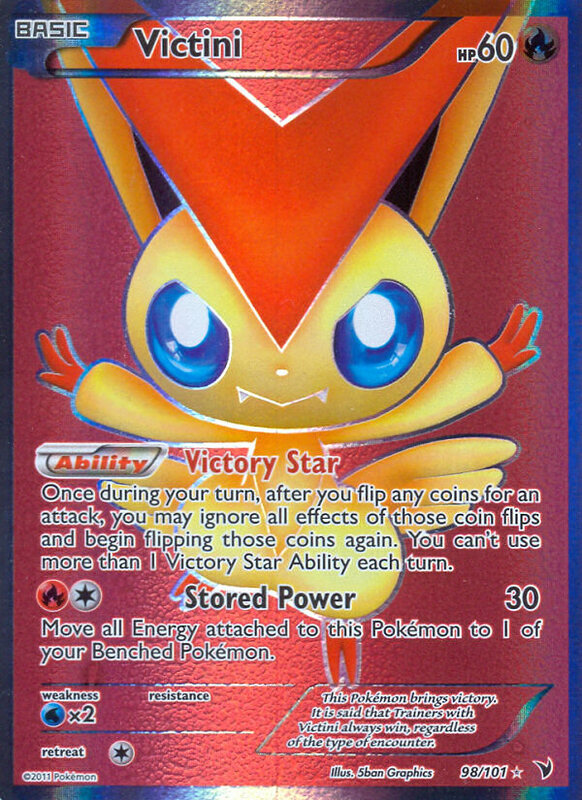 As you won’t play Garbodor DRX down in most matchups against Big Basic decks and Darkrai decks, you can still make good use of Victini’s Victory Star Ability, which allows you to reflip coin flips for attacks, so I made sure to include one into the list. This gives you a 75 percent probability of Paralyzing and Poisoning your opponent’s Active Pokemon. 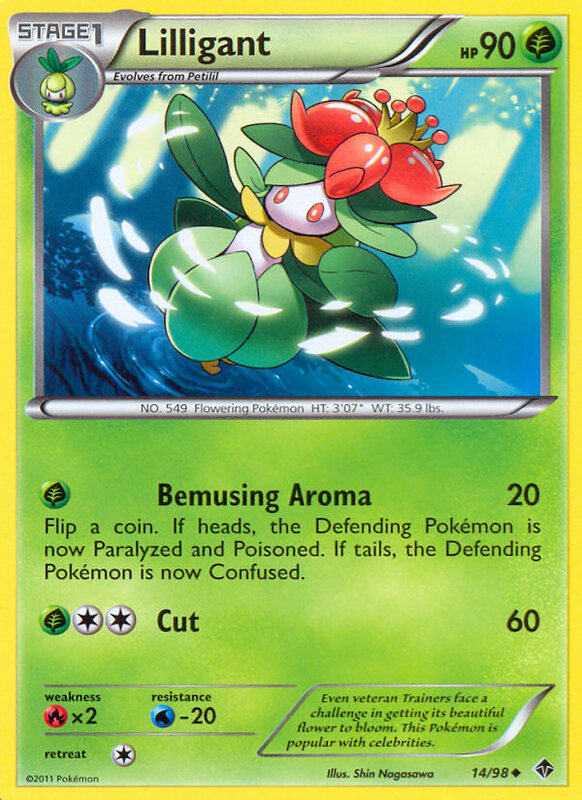 One of the reason’s I chose Lilligant over Vanilluxe for the basis of my first status lock deck in the new format is because Lilligant does something productive (Confusing the opponent’s Pokemon), even when you flip tails. If your opponent doesn’t have Switch in hand, they will be faced with the decision of whether to go for an attack that may do nothing, or wasting Energy to retreat if they can meet the retreat cost. After building this deck, I also know that there is no way to fit both Vanilluxe and Garbodor in the same deck…I’m already not running as much search as I’d like in this deck in order to fit in everything else that is needed. 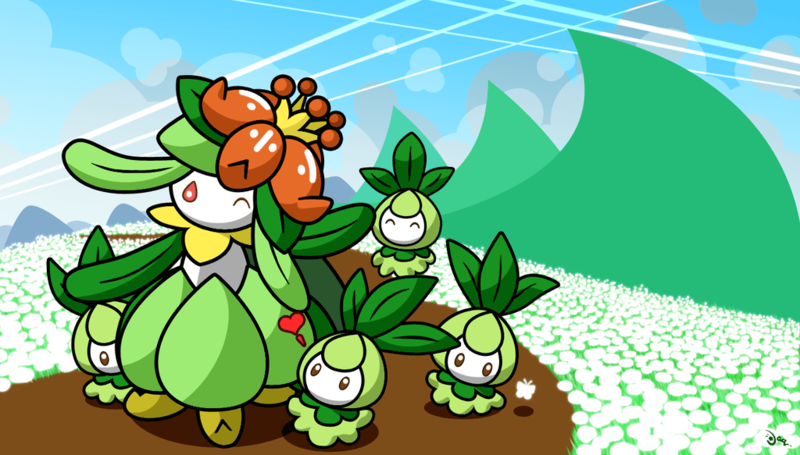 Lilligant’s Bemusing Aroma attack only does 20 damage, so Tool Scrapper is essential to remove Eviolite, otherwise your attacks could be doing 0 damage, which is no good. In my build, I have two alternate attackers, Mewtwo EX and Shaymin EX. The reason that Mewtwo EX is so good with Lilligant is that Lilligant only takes one Energy to attack, so often a player may overextend by placing 3-4 Energy (depending on if they play PlusPower) to get the ohko on Lilligant, which opens them up for a revenge KO from your own Mewtwo EX. You need to be careful in trading Mewtwo EX’s, you can’t properly engage in a Mewtwo war, but you just have to be opportunistic with your Mewtwo EX. Shaymin EX is really good in this deck for a few reasons. 1.) You already play Grass Energy, so it’s a natural fit. 2.) 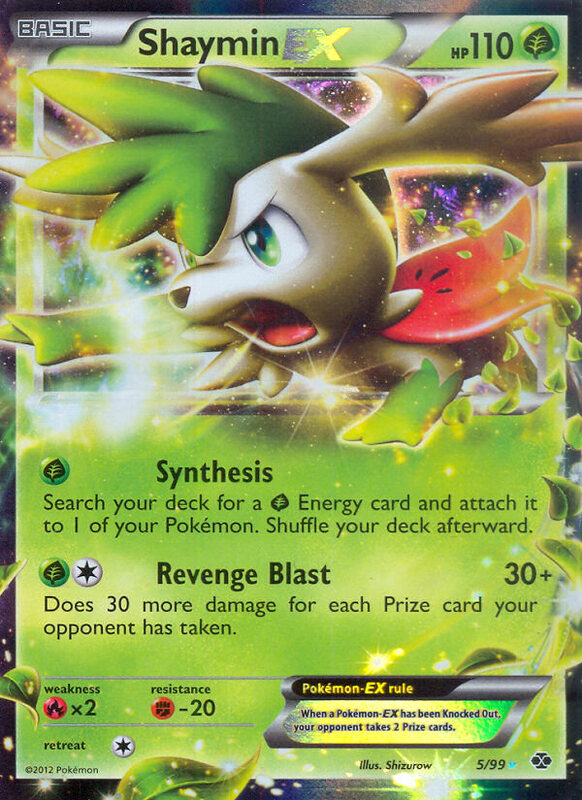 Beyond that, you can limit your opponent to taking only single prizes and force them into taking five prizes, which allows you to Revenge Blast with Shaymin EX for 180 damage. So…I don’t think status lock decks are exactly strong right now. The lack of a compatible Item Lock to use them with, and the emergence of Keldeo EX as a major player in the meta game makes life tough for status lock decks. However, I think they can have some life in combination with Garbodor DRX. They probably aren’t the type of decks that can consistently win tournaments in this format, but in the testing I’ve done so far, this Lilligant deck can still be competitive in a lot of matchups, and it does consistently annoy your opponent. Definitely not a deck on the top of my play list, but if I can improve my points total for City Championships over the next two weekends, you just might find me playing Lilligant for the last weekend of City Championships! The deck is just as much fun as it used to be! I have to disagree with you here. When you’re dealing with lock decks that include poison damage, doing 0+poison can actually be a very good thing. The amount magic numbers you can hit are highest with less damage done per attack. Granted, Liligant’s lock is funky as it can fail pretty easily so basing your whole strategy on magic numbers is not going to work. I think tool scrapper is a necessary inclusion, if only to allow yourself an option for modifying damage done.